It is easy to overlook how important teeth placement is for a developing child, which is something Meade Moore Dentistry practice stresses. The reality is that facial growth and development partly relies on the natural placement of your child’s teeth. This is the reason the American Association of Orthodontists agrees that children should get an oral evaluation at the age of seven. Meade Moore Pediatric Dentistry makes it a point to ensure that our team remains active members of local and national dental societies. This means you can expect the oral specialists here to be up-to-date with the newest and most effective orthodontic developments. The reality is there are a number of oral issues that may need to be addressed as a child grows up. For example, dental crowding may become a problem as your child grows his or her teeth. This issue is best addressed early because it could hurt facial development if left untreated, and it could also increase the risk of infection or cavities. Crowded teeth are harder to clean because there are many areas that a toothbrush won’t be able to reach. Bacteria can flourish easily, leading to cavities or gingivitis. Poor bites can also develop, and this could hurt a child’s speech development and could even damage a child’s ability to digest a meal. A big part of proper digestion starts in the mouth. You have to be able to chew and process food before it is eventually swallowed. A poor bite could make it harder for a person to chew well, and that could lead to improper ingestion of nutrients or minerals. It could also make it harder for a person to properly dispose of waste since the food was not properly processed. We know how to take care of all these problems, and we know how to address them in different ways. For example, misaligned teeth are sometimes corrected with braces. Remember that braces have come a long way, and most of them are a lot more comfortable than before. The wires are a lot thinner, making them comfortable to wear and easier to maintain. Your child may also have the opportunity to add different colors to the braces to make them unique. There are a few types of braces out there, like Invisalign. We know how self-conscious some children feel about wearing braces, making Invisalign a great alternative. This treatment relies on plastic aligners that are practically invisible so that your kid can undergo this treatment without traditional brackets. Keep in mind that there are other alternatives for your child depending on the orthodontic issues he or she may be dealing with. 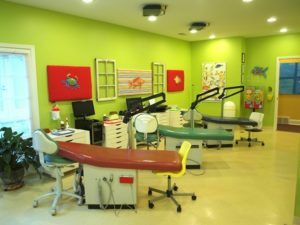 Please go ahead and visit www.germantowndds4kids.com to find out more about the services we offer. You can schedule an appointment with Dr. Meade Moore for a consultation to find out more about orthodontic programs and how they can help your child. Our staff is ready to support your child’s oral development and give you peace of mind.